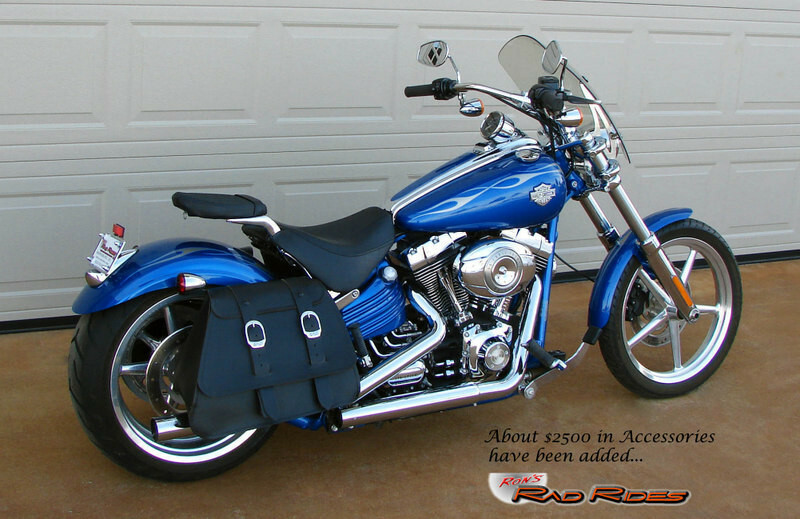 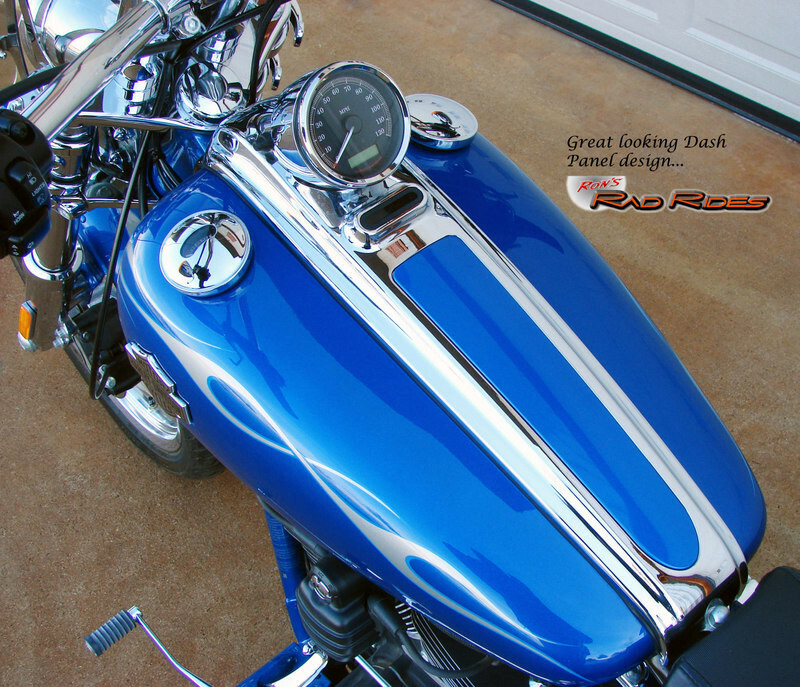 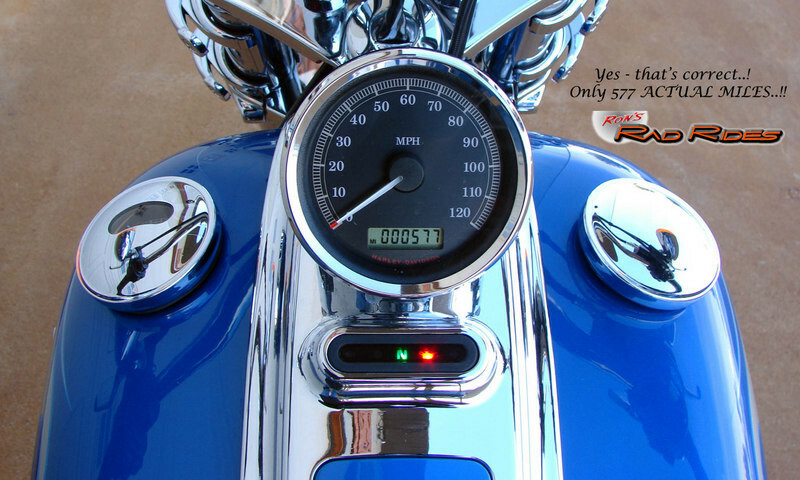 This is a one-owner 08 Harley Davidson Rocker C in the very nice looking Pacific Blue Pearl with Silver Flames color scheme. 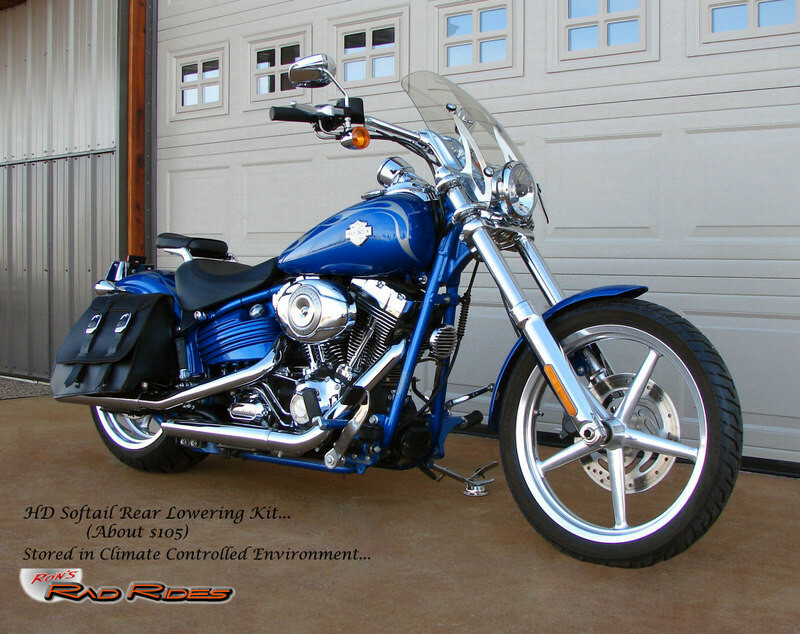 This bike has been in a Climate Controlled environment its entire life and has only 577 ACTUAL MILES..!! 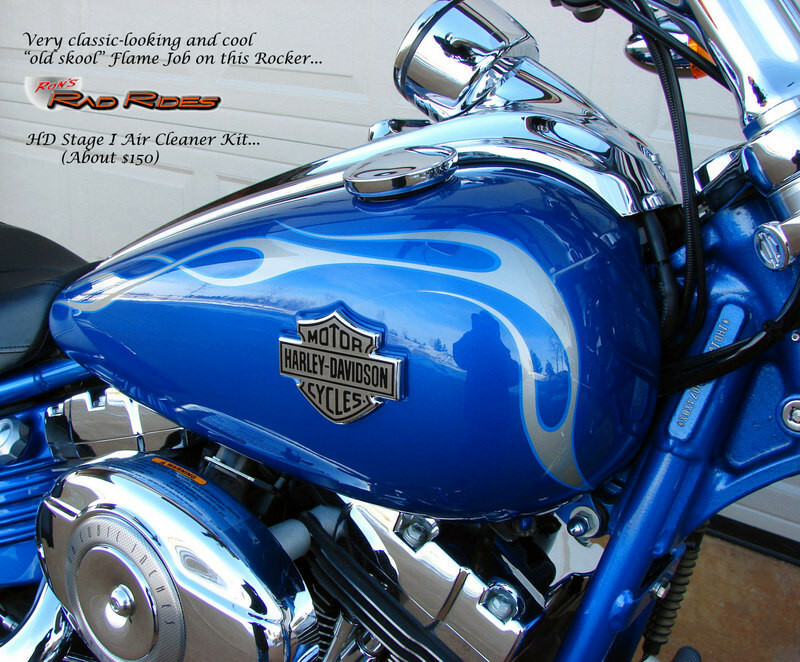 It has been serviced properly and very well taken care of. 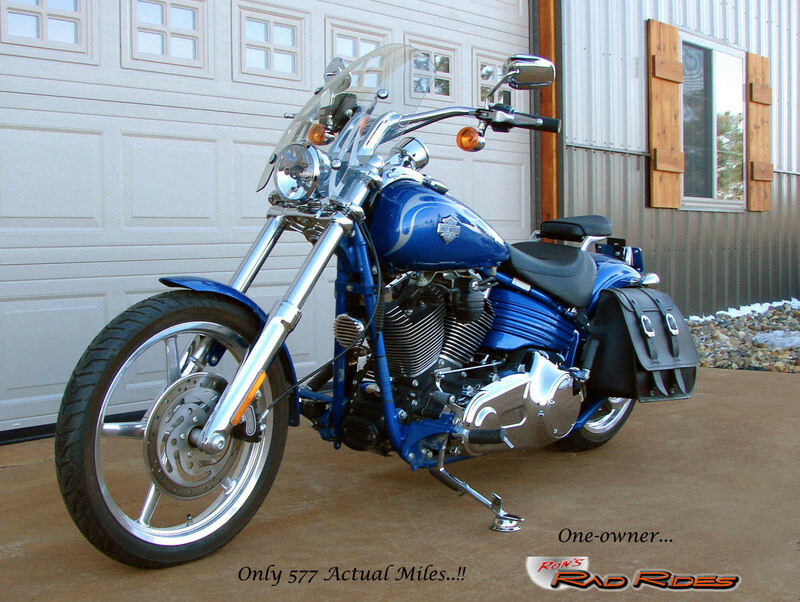 The owners just rarely found the time to ride it. 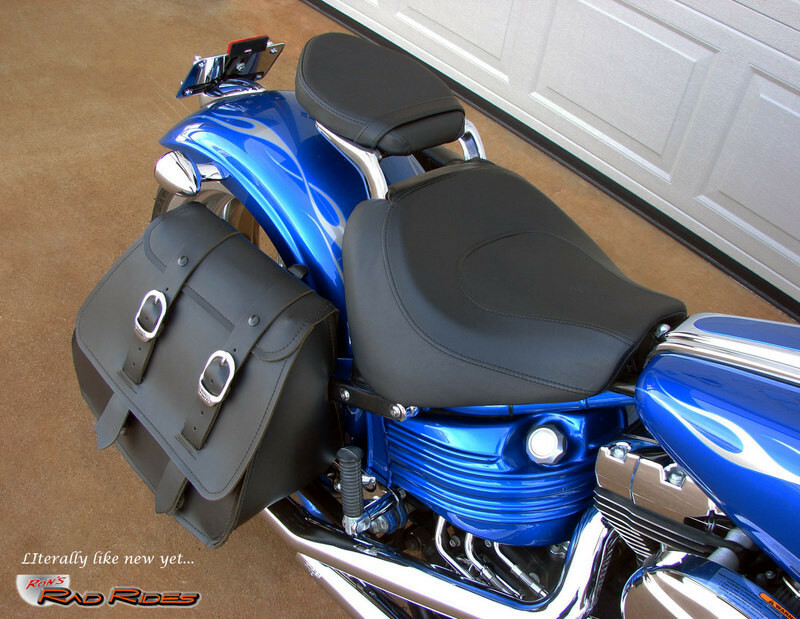 So, therefore it is, as you can imagine, essentially new yet! 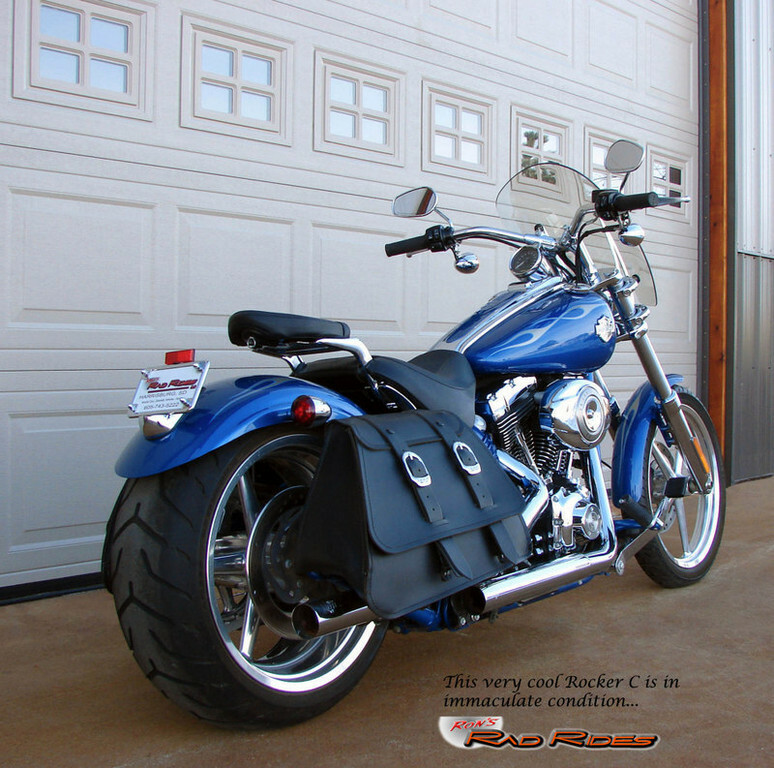 As you may or may not know, this motorcycle was Harley Davidson's answer to the Custom Bikes that are being built. 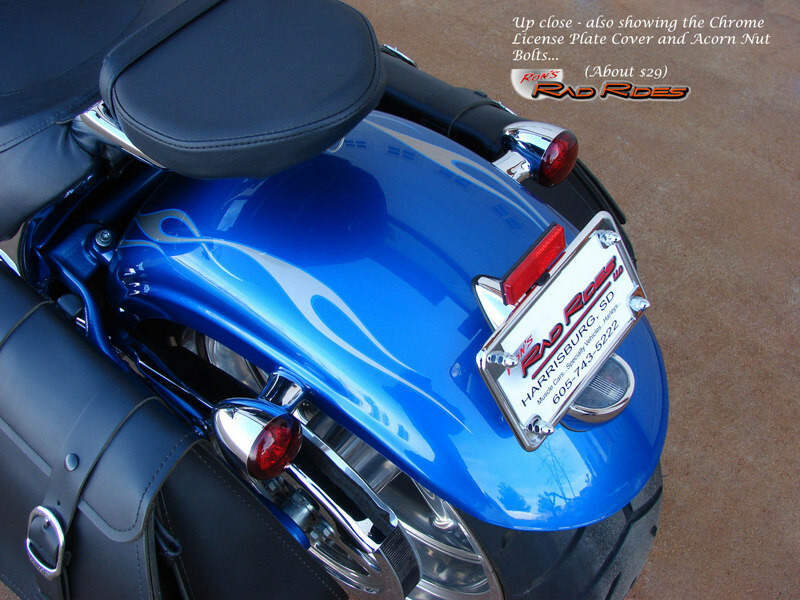 It has a very low, sleek look with the appearance of a Rigid Frame. 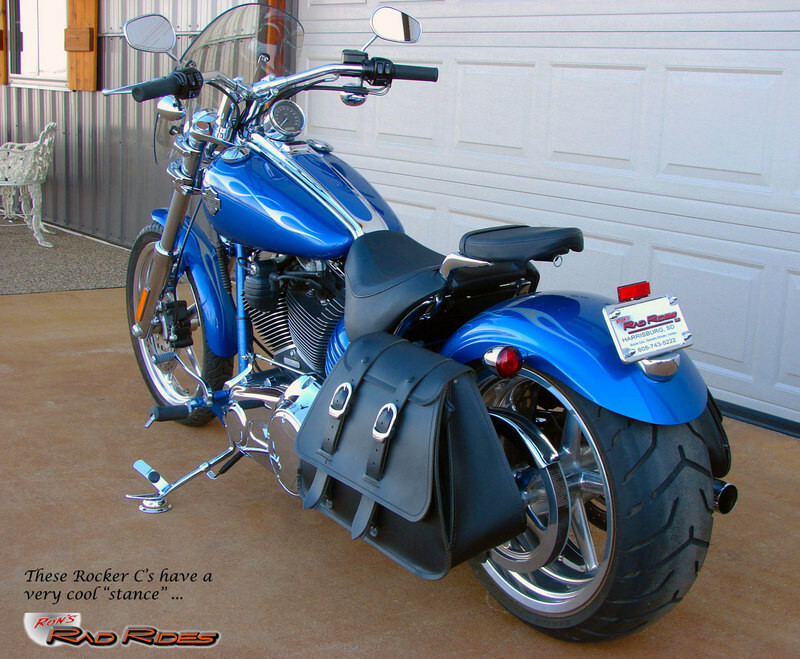 But of course it is not a Rigid - it is a Softail Frame with a Swing Arm which gives you a great ride. 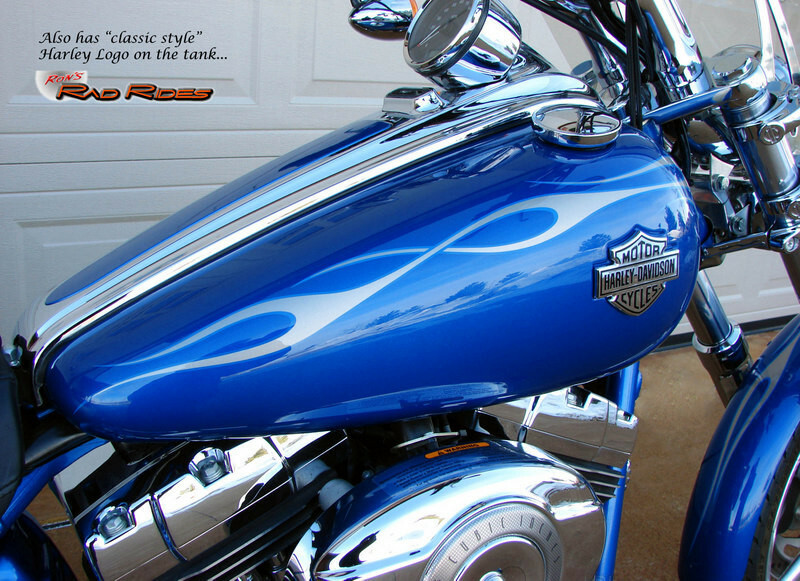 It certainly is a unique and rather "tough" looking bike and resembles no other bike in Harley's model line-up. 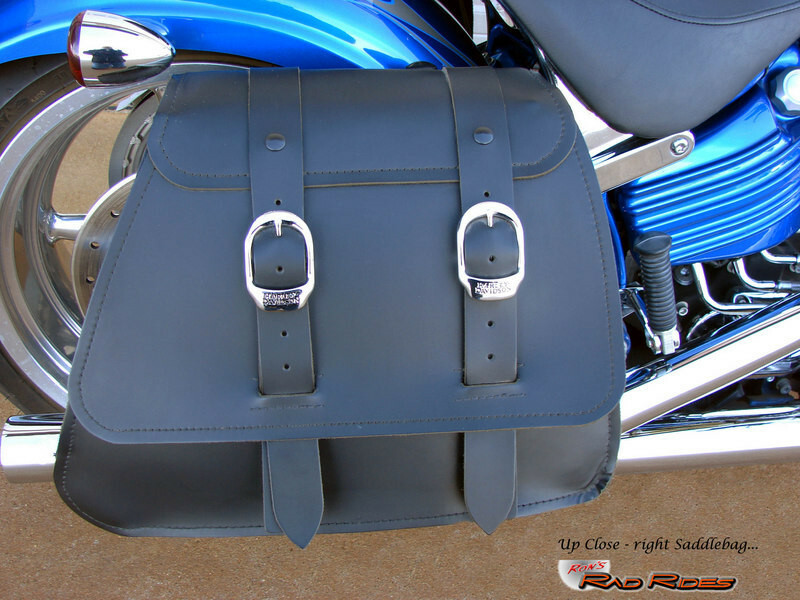 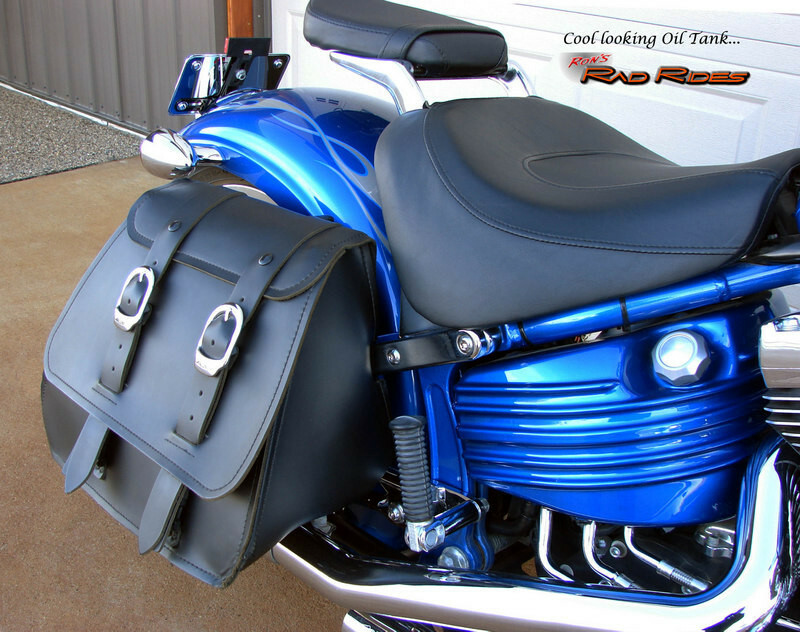 This very cool Rocker C has the Leather Bags,(these are quick-release), the Chrome Saddlebag Support Structure (for the Bags),, the Smoked Quick Release Windshield, the Softail Rear Lowering Kit, a Stage One Air Cleaner Kit, an HD EFI Calibration, and Vance & Hines Straight Shot Mufflers. 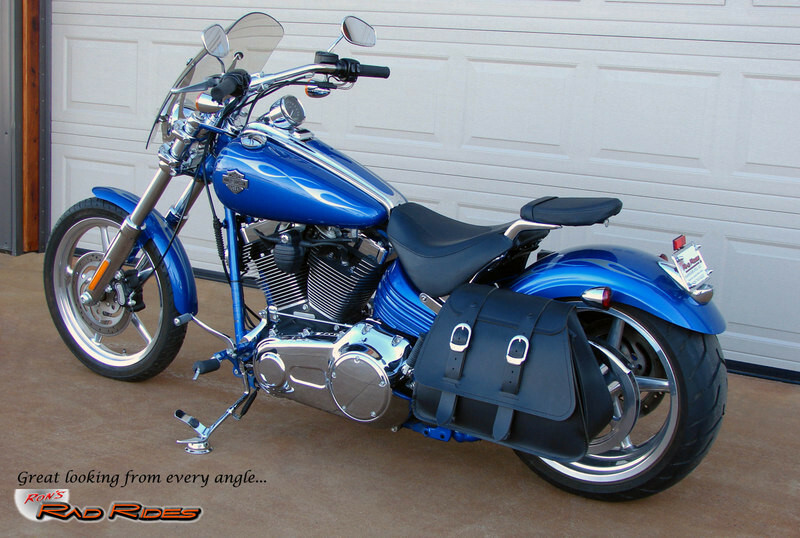 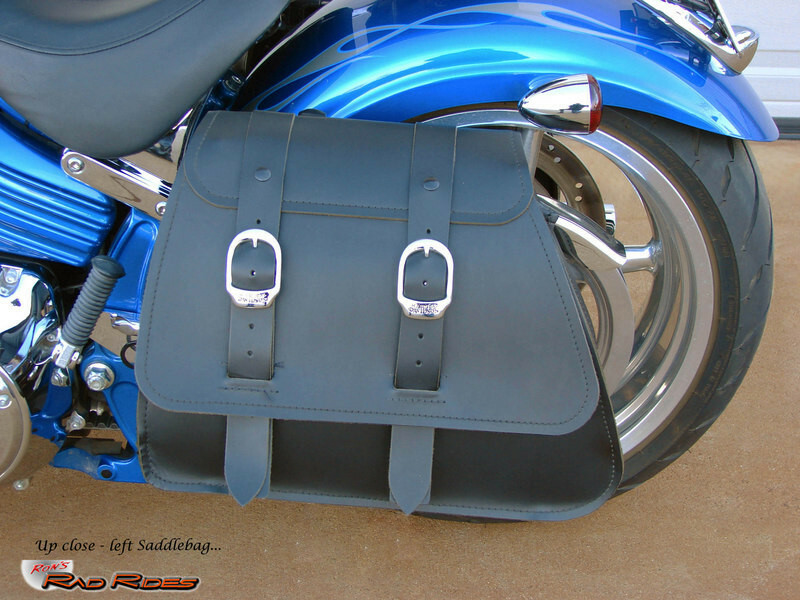 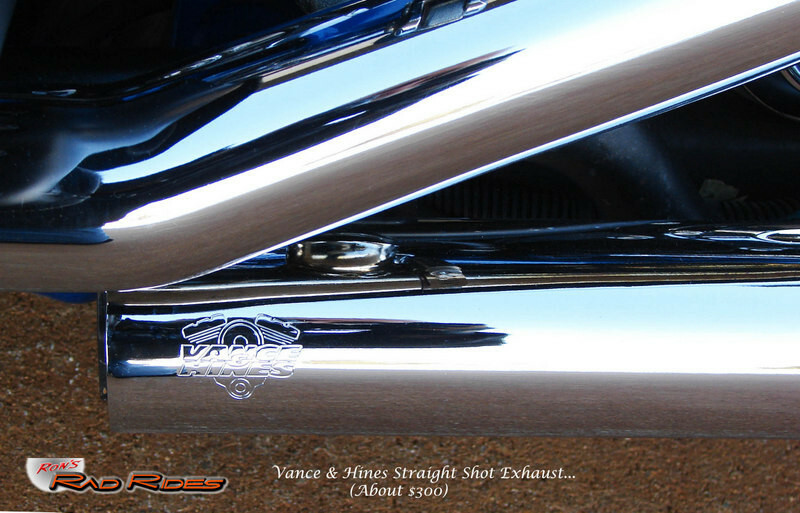 The Leather Bags, the Lowering Kit, the Windshield, and the Vance & Hines Exhaust are not only very functional, but really add to the looks of the bike as well. 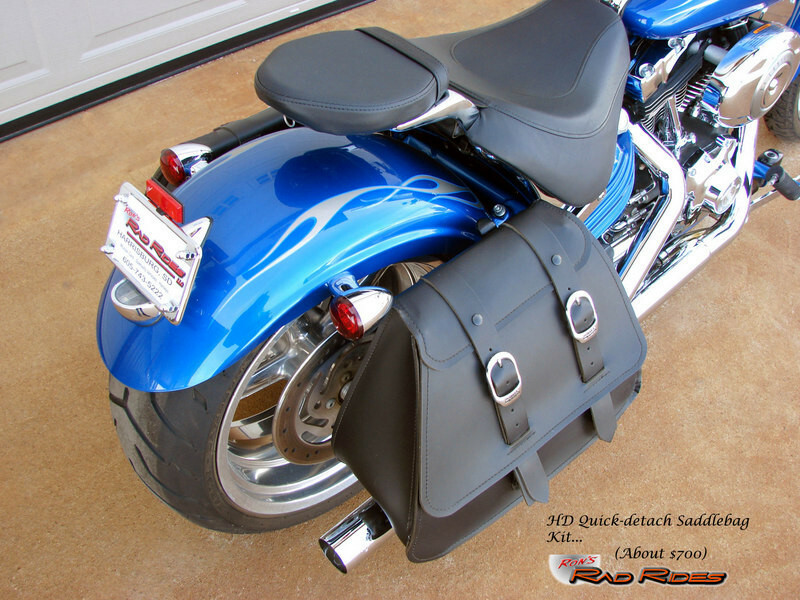 Harley Davidson only built the Rocker from 2008-2011. 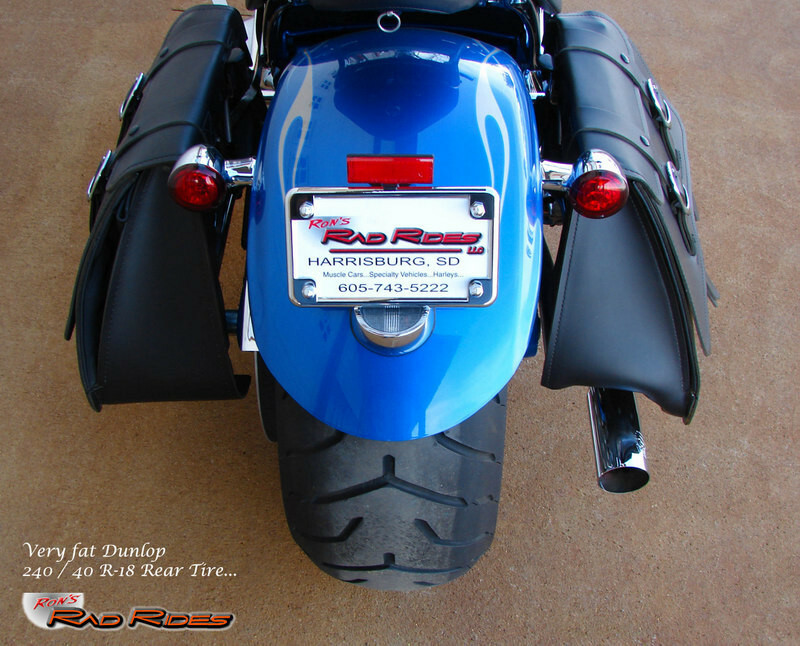 Many people have speculated on why HD quit building them, and the most common opinion seems to be the fact that there was a large amount of uniquely engineered parts involved in the manufacturing of the Rocker that were not able to be shared with other model lines and consequently HD was unable to achieve the profit margin they wanted. 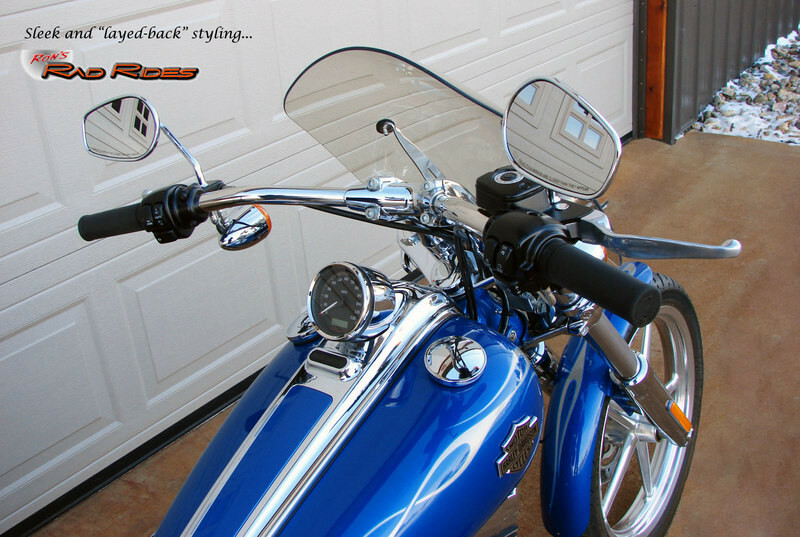 It's too bad, since the people that own these bikes really like them and whenever you see one at a Motorcycle Rally, Poker Run, Bike Night, or wherever, there always seems to be a crowd standing around admiring them. 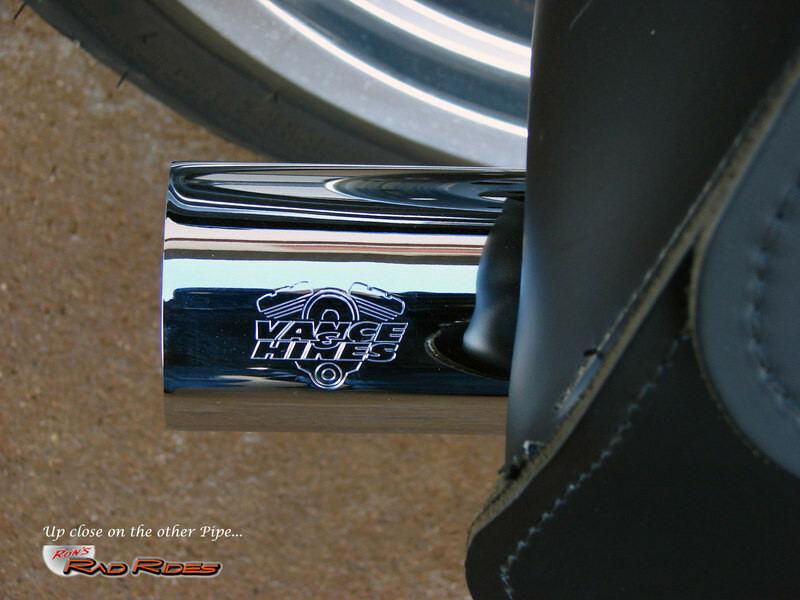 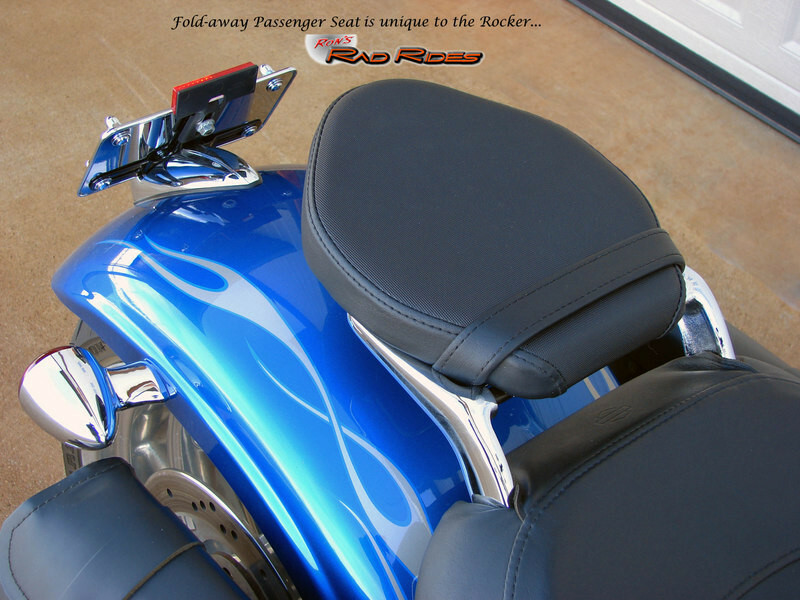 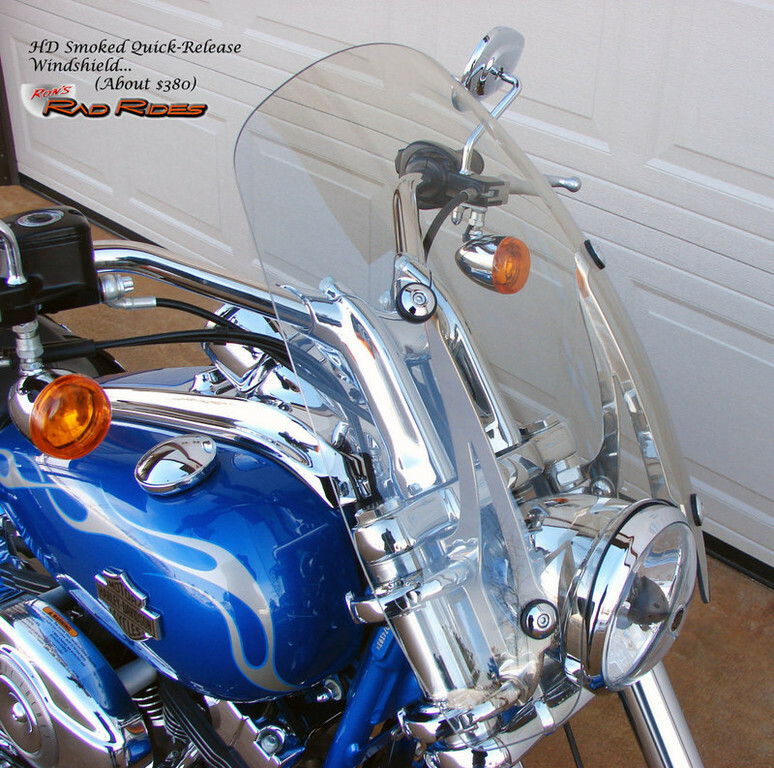 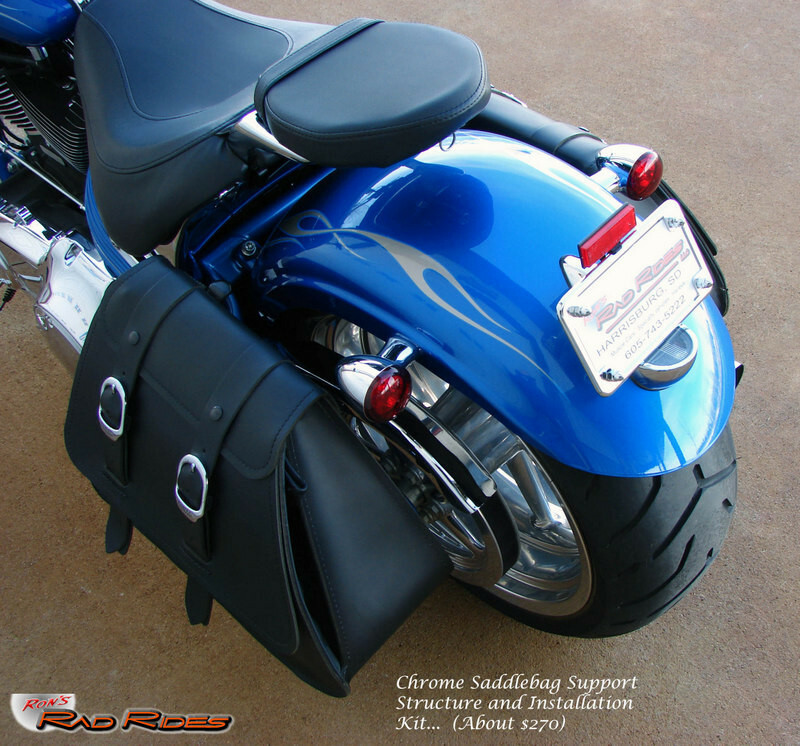 Here is a list of Accessories and Upgrades that were added before it even left the Harley Dealership when it was purchased new. 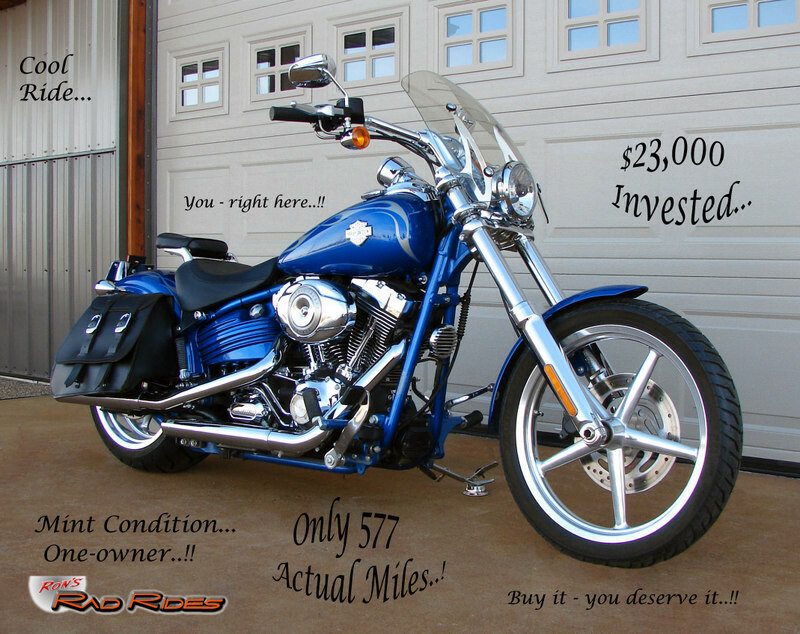 Note: Remember you can't buy this bike new anymore from Harley Davidson, so if you like this bike (and many people do), here is a chance to actually own one that is hardly even broken in yet AND, with less than 600 Actual Miles and over $2500 in Accessories as well. 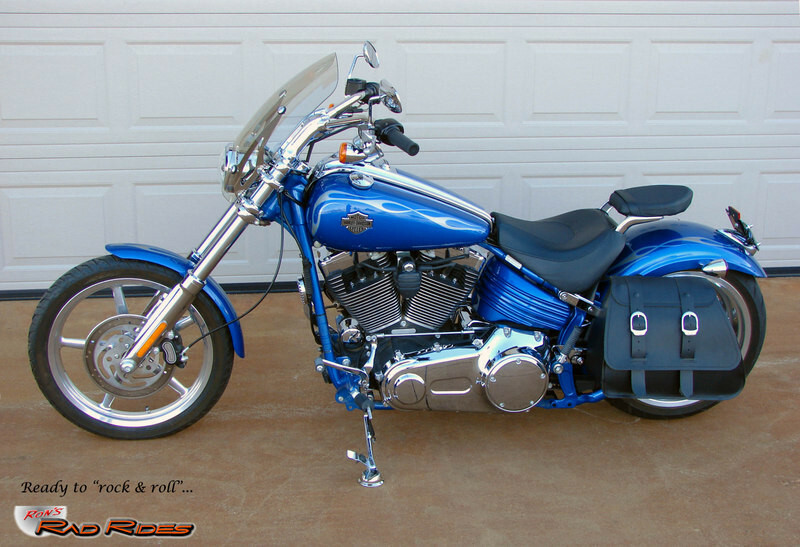 That is as close to new as you will likely ever find one.